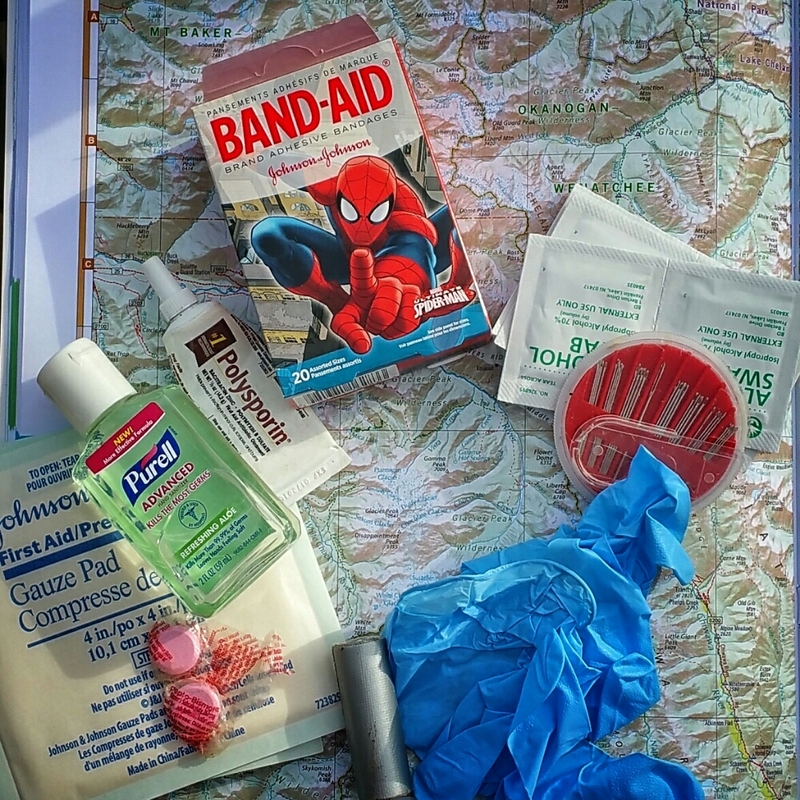 Our poor back country first aid kit had been raided over the past 9 months or so since we finished our thru-hike. It’s time for it to be replenished. First, some of the important things. No, that is not all. But close. The most important part, the training, can’t be shown here. But a class like the National Outdoor Leadership School’s Wilderness First Aid (WFA, pronounced “Wu-Fa”) helps build the confidence you need to go out in the backcountry with such a minimal kit. The class was a requirement laid down by Goddess before she would step a single step on the thru-hike. We’re both glad we did, just as we are glad that we didn’t have any serious issues to deal with on the trail. And before anyone asks – yes, the Spider Man bandages are very important! That class is definitely worth its weight in gold. Hubby and oldest son are both certified through that. Your Wilderness recertification is coming up…..will you? BTW, Where do I get Spiderman bandages? We have been discussing the recertification. No decision yet.